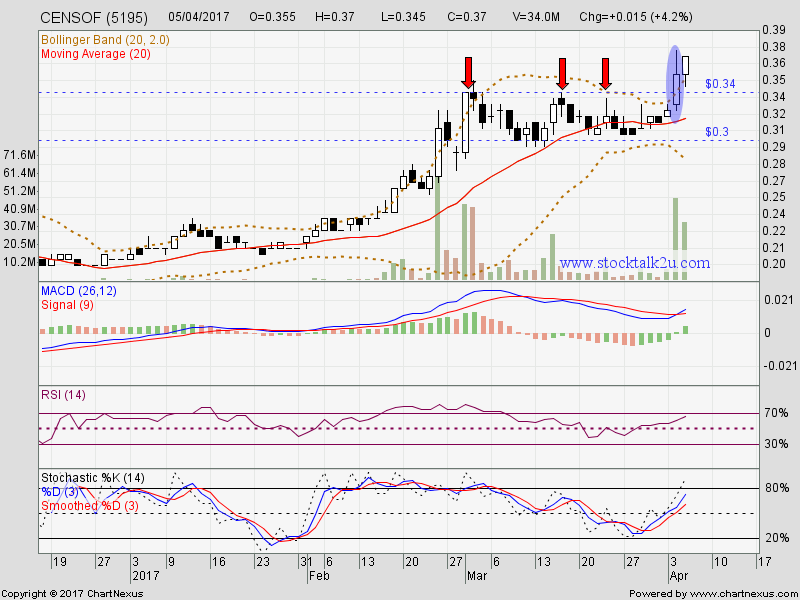 CENSOF (5195) succeed breakout RM0.34 resistance level. Higher high is confirmed. So uptrend will resume. 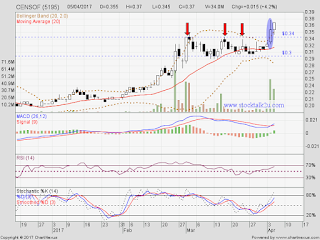 Immediate resistance @ RM0.39 level. Immediate support @ RM0.34 level.